As we near the end of August and our days grow shorter, we can’t help but be reminded that in just a matter of weeks, the end of summer will officially be over and fall semester will commence. Amidst facing the bittersweet end of their carefree sunny afternoons, both undergraduate and graduate degree students will go back to their constant stress-filled days and seemingly never-ending all-nighters. Before they can even begin to worry about their fall courses, however, most students (and families of students) are racked with the dilemma of figuring out how they will even be able to afford the ever-growing costs of undergraduate and especially postgraduate tuition, as well as all of the other expenses that come with the collegiate territory, so to speak. Well….you can put your fears to bed because this is something that, surprisingly enough, your taxes can actually help you with! That is, of course, only if you know which education tax credits and deductions are available to you, and also which would be the most optimal one to utilize to ensure that you save as much money as you possibly can. If you are starting to feel overwhelmed again because now you don’t have the slightest idea as to what any of those words mean – or perhaps those of you who have a rudimentary understanding of basic tax terminology – you don’t know the specifics and how to go about finding out what you need to know – take a deep breath, and continue to read as everything will be broken down and explained, piece by piece. First off, it is important you understand the primary difference between a tax credit and a tax deduction. For example, if you owe the IRS $65,000 and then receive a $5,000 tax credit, you now only owe them $60,000. For example, if your income is $65,000/year and you qualify for a $5,000 deduction this means that now you will only be taxed for $60,000. This will ultimately result in you paying less in taxes as the income that is subject to tax has been reduced, thereby minimizing your tax amount. There are two types of Education Credits available. There is the American Opportunity Tax Credit (or AOTC) and the Lifetime Learning Credit (or LLC). For more information on these you can visit IRS.gov or simply click the hyperlinks included in this text. The eligible student is either yourself, your spouse, or a dependent whom you claim on your tax return. If you are eligible to claim both the AOTC and the LLC for the same student in the same year, you can only choose to claim one of the credits; you can and definitely should opt to choose the one that will result in a lower tax. Furthermore, you cannot claim the AOTC if you were a nonresidential alien for a long part of the year unless you elect to be treated as a resident alien for federal tax purposes. For more information about AOTC and foreign students, visit American Opportunity Tax Credit – Information for Foreign Students. If you qualify for a deduction in tuition and fees then you may be able to deduct qualified education expenses during the year for yourself, your spouse or any dependents you claim on your returns. The tuition and fees deduction can reduce the amount of income subject to tax by up to $4,000 and is taken as an adjustment to income. In other words, you can claim this deduction even if you do not itemize deductions on Schedule A (Form 1040). This deduction may be optimal for you if, for example, you cannot take the LLC because your income is too high. The eligible student is yourself, your spouse, or your dependent for whom you claim an exemption on your tax return. Another person can claim an exemption for you as a dependent on his or her tax return. It does not matter if the other person does not actually claim that exemption – you still cannot take the deduction. Your modified adjusted gross income (MAGI) is more than $80,000 ($160,000 if filing a joint return). You were a nonresident alien for any part of the year and did not elect to be treated as a resident alien for tax purposes. More information on nonresident aliens can be found in Publication 519, U.S. Tax Guide for Aliens. You or anyone else claims an education credit for expenses of the student for whom the qualified education expenses were paid. Lastly, student-activity fees and expenses for course-related books, supplies and equipment are included in the qualified education expenses only if the fees and expenses must be paid to the institution as a condition of enrollment or attendance. An academic scholarship is an amount paid or allowed to, or for the benefit of, a student at an educational institution to aid in the pursuit of the advancement of their studies. A fellowship is an amount paid for the benefit of an individual to aid in the pursuit of study or research. For those of you whom, through hard work and perseverance, managed to earn a scholarship or fellowship to further your academic career, there are also some very important tax tips/guidelines you should heed in order to avoid having said scholarship/fellowship heavily taxed. Nor can it specify that the scholarship or fellowship cannot be used for course-related expenses. This is true even if the fee must be paid to the institution as a condition of enrollment or attendance. Scholarship or fellowship amounts used to pay these costs are taxable. Before either you, your spouse or your dependent heads off to school this fall in pursuit of your/his/her collegiate or post-graduate studies, be sure do your tax homework and find out if/how much money you stand to save (and possibly be refunded) for the year. The process you would need to endure in order to help determine your eligibility for either of the educational credits (the AOTC or the LLC) or deductions (the tuition and fees deductions) is as simple as answering a few short questions. This process should take you no longer than approximately 5-7 minutes, but can wind up saving you and your household a substantial amount of money (and can even result in you receiving a refund, as we have discussed earlier in the Education Tax Credits Section). 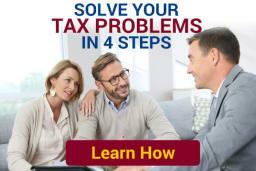 Simply visit IRS.gov and utilize the site’s Interactive Tax Assistant tool which will guide you through the process of checking your eligibility for both the AOTC and the LLC credits, as well as your eligibility for the Tuition and Fees, all at the same time with just a few short questions. Once the tool has informed you which, if any, of the credits and deductions you may qualify for you may have a few options available to you. At that point it would be best to consult a tax professional to find out which avenue would be the best one to pursue in yielding the greater savings. If you were awarded – or rather if you earned – a scholarship or a fellowship through all of the blood sweat and tears you poured into your academics, you should not view that monetary reward as something you won but rather as something you worked for. In other words, you should shift your perspective on your scholarship/fellowship especially when it comes to issues regarding tax. So for instance, if you see it as some sort of lucky break you caught and thus wish to spend it as you please on Non-Qualified Education Expenses (such as room and board, travel, etc) because – hey, it’s free money!- then the IRS will tax and tax it and when all is said and done, you will have had to share your scholarship/fellowship with the Internal Revenue Service even though they did nothing to help you earn it. If, however, you respect the reward for exactly what it is – a reward – for all your hard work and tenacity – you may think twice before spending even one red cent on anything that does not fall under the Qualified Education Expenses, and can thusly reap the full benefits of everything you earned – entirely tax-free!